The Rhenohercynian Fold Belt (RFB) in Germany (Fig. 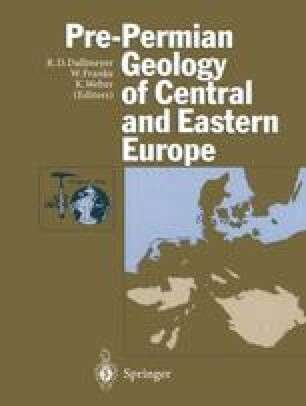 1) is one of the most important mineral belts in Europe; its main mineral districts are located in the Upper Harz Mts., and in the Siegerland, Sauerland, Lahn-Dill, and Bleiberg-Moresnet-Aachen-Stolberg regions of the Rhenish Massif (Fig. 2). The belt contains a great number of synand epigenetic ore deposits and occurrences in which the metals Fe, Zn, Pb, and Ba predominate; Cu, Sb, Co, Ni, Ag, Au, and F are locally enriched. In striking contrast to the Saxothuringian and Moldanubian zones, mineralization of Sn, W, and U are very rare.